there’s only one place to be at this Saturday evening. Pray hard. Bring friends. Turn up. Be excited. See you. 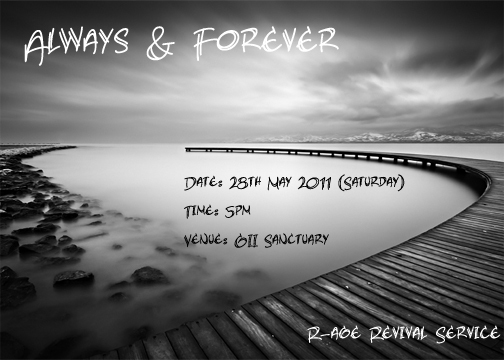 Posted on May 25, 2011, in Picture Perfect and tagged Always & Forever, R-AGE, Revival Service. Bookmark the permalink. Leave a comment.